Creation Today is a ministry dedicated to the scientific accuracy and truth of Creation. 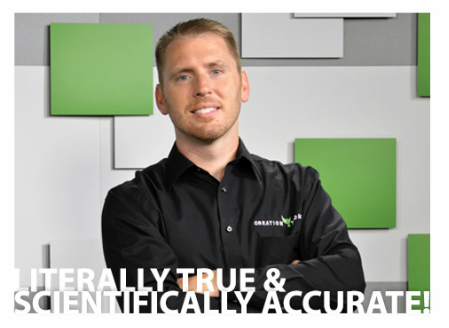 Its founder, Eric Hovind, has a passion to reach people with the life-changing message of the gospel and has shared that message in all fifty states and five foreign countries. Come join us as Eric shares the creation message in a fact-filled, humorous, and captivating way. Get answers directly from the Bible for today's most pressing creation questions and learn how evolution betrays truth and defies logical thought. This is a free event and child care will be provided.